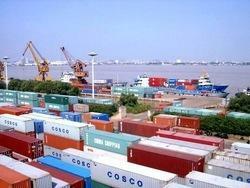 Offering freight forwarding services, clearing agent services etc. SKL's expanisve network and resources, that it has built over the years, go a long way in helping you scale space needs for seasonal or cyclical distribution models. SKL follows a variable cost solution which will eliminate most of your fixed costs and also help improve efficiency. SKL can help you fulfill a large spectrum of warehousing needs for all types of cargo including open warehouse , shed and dust free warehousing for special electronic items. 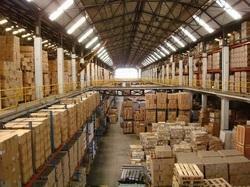 In order to address changing business needs, we have alternatives that include contract warehousing or utilization of skilled labor so that we can successfully create a unique solution for your specific business needs. SKL’s Transportation Management solutions helps your business run efficiently while increasing visibility into your supply chain. 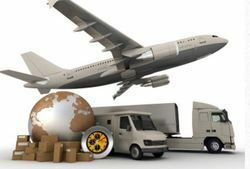 In tailoring your transportation needs, we take into account the type of goods you are shipping, your time schedule and cost requirements. In order to execute the plan of action, SKL has two sister concerns, Golden Gates and Seair, which are fleet owners and offer in-house transportation. In addition to that, we also have strategic alliances with reputed and committed transporters to meet your needs of multi-modal transportation. At SKL, transportation does not end solely with the execution stage. We are eternally committed to making the transportation system more efficient thereby bringing about significant advantages to your business. With increased visibility into your supply chain through SKL’s Transportation Management, we will continue to analyze carriers, lanes, mode, and your transportation as a whole to determine areas of improvement. Our expansive network built over numerous years of service proves to be priceless in obtaining the latest equipment for hire regardless of the location, time of day and type of cargo. 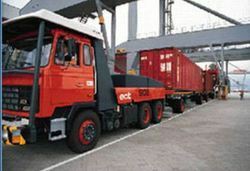 Our team dedicated towards this cause are well trained and assist in the swift movement of cargo. All equipment used meet with industry standard and are regularly audited as well. All equipment are maintained by professional repairers reducing the amount of time, operating with reduced equipment. 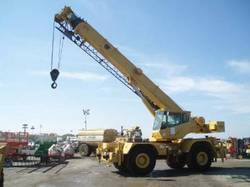 We can help you identify and arrange to hire high capacity cranes , forklifts, trailers for ODC consignments of any size and any type. We provide complete contract lift solutions as well.